Geoffrey Wedgwood was born in Leek, Staffordshire, after service with the Army during the First World War he studied at Liverpool School of Art and later at the Royal College of Art, London. 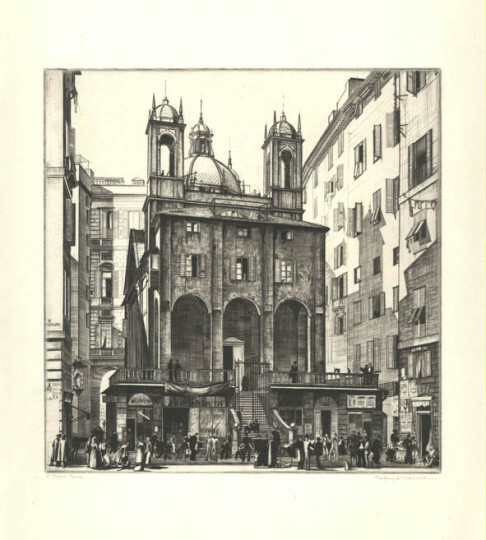 He attended the British School in Rome winning the Prix de Rome for engraving in 1925. He was known mostly for his precise architectural etchings.